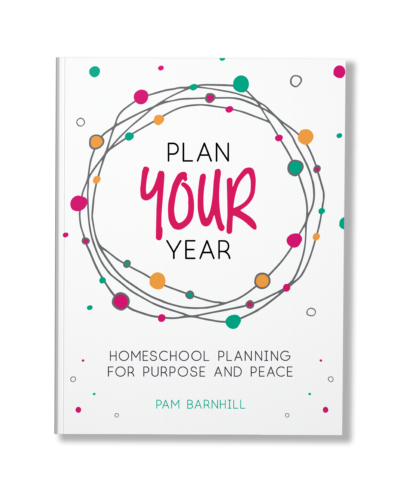 It’s the new year and if you are like most homeschool moms, then you are hashing out which New Year’s resolutions you want to make. 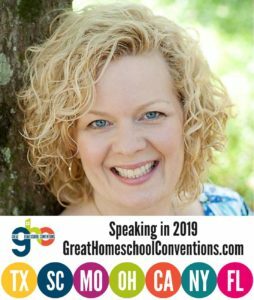 And while we are deciding to lose another ten pounds and keep our bathroom cabinets organized, another area we might consider resolving about is our homeschools. In an effort to avoid resolution burn-out, here are some tips I am going to try this year to make those resolutions work for me. Unfortunately, so many resolutions are often forgotten by mid-January, lost in an overwhelming sea of good intentions and high-expectations. I know it has happened to me many times. I begin the year ready to start strong, with no fewer than fourteen new habits on Day 1, and then by January’s end, I am exhausted and back where I started December 31. Now, you have something you can work towards and you will know when you are successful and when you are failing to perform. Focus on behaviors and not outcomes. When we are honest we realize that we can’t control many outcomes. I can have a resolution to lose five pounds, but when I step on the scale for my final weigh-in so many factors that are out of my control have an impact on whether I have succeeded — water weight, metabolism, etc. What I can control is the quantity and the quality of the food I eat or how much I exercise. 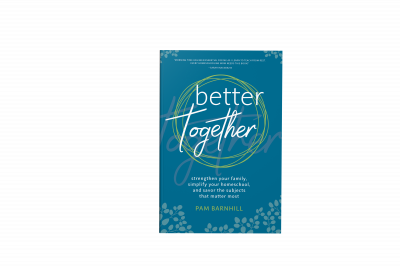 As we are making those homeschool resolutions, if we focus in on behaviors instead of outcomes, we are much more likely to stick with it when we are seeing little progress — which in turn means we are much more likely to be successful. Especially when we are dealing with children, their temperaments, and their abilities! So instead of “Timmy will have his multiplication tables memorized by the end of the school year, resolve that “Timmy will review his multiplication tables for 15 minutes a day.” You will never be able to force Timmy to know those facts, but if you make sure he practices for 15 minutes each day, there is a good chance he will. This is where we get to the hard work of being successful (yes, no one’s favorite part, I know). 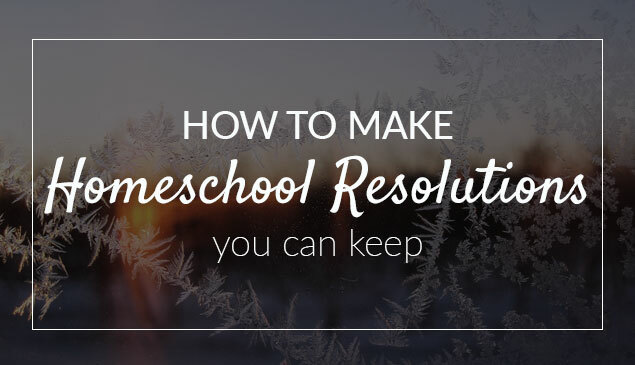 Break down your resolution goal into action items. What steps will you take to ensure success and how will you overcome your obstacles. If you are going to read to your kids, maybe you need to make sure that you finish lunch by 12:30 to have time to meet your goal before leaving for afternoon activities. Do you need to seek out a list of quality read alouds and put them on hold at your library? 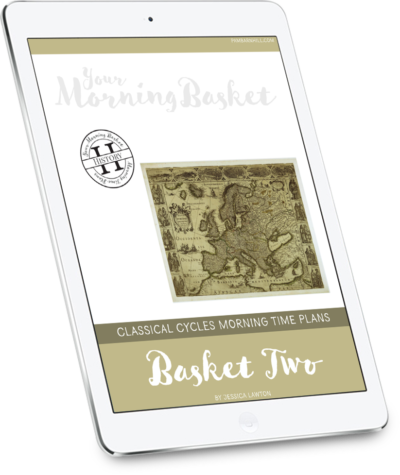 Do you need a basket set-up next to your couch so you don’t constantly misplace your book? 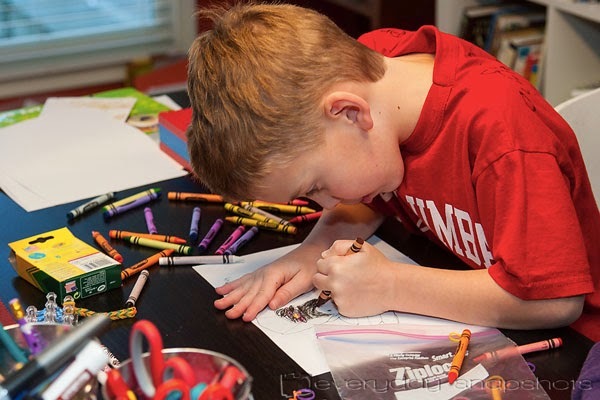 For Timmy and his tables, research different ways to practice facts to eliminate boredom. Create a chart to track his success, so he can see his progress. Enter the 15-minute time-period into your schedule or his check-list so you don’t forget it each day. The idea is to look at the goal — what you would like to accomplish — and come up with the steps you need to take and avoid the obstacles that get in the way of your success. Knowing how well you are doing at meeting your resolution will provide the incentive you need to keep going when you struggle with motivation. Find some way to chart how well you are meeting your goals. You can use a calendar to pencil in when you have completed a task or make a wall-chart using stickers (especially motivating when kids are involved). For reading aloud, Sarah has a lovely chart to track your minutes. You can also easily create your own table in a word processing program. Let the kids decorate it to make it pretty. Charts, tables, and graphs with spots to check off work for just about any goal. There is no small measure of satisfaction in checking that spot. This is the most important part. When you experience even a smaller measure of success — reading aloud for 30 days or memorizing through the six tables, then give a little reward. Everyone goes out for ice cream. Everyone is happy. Everyone is ready to come home and continue to work towards the next cone goal. Sure, learning is its own reward, but ice cream makes everything better. So tell me how you do it? 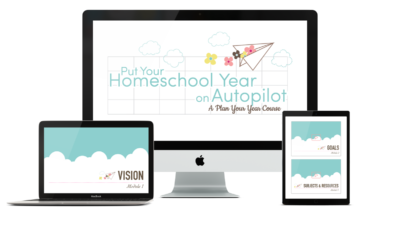 What are you resolving to change in your homeschool this year and how will you go about insuring success? You've really got me thinking, I do need to be more specific. Thinking on this, might write a post and get back to you when I've worked out my specific goals. Huh. “Focus on behaviors, not outcomes.” That has the potential to be life-changing here. I don't know that I've ever really thought about whether the goal I'm setting is actually a goal for my behavior, or is rather an outcome I want to see- it would be far more encouraging to be able to focus on something I can control (myself! not others! especially not my kids!!!). This is a fantastic list of tips. AGREE! I think that statement is genius! My recent post On the Second Day of Christmas . . . .
Love the tips! I think another one I've learned is that we don't need to switch curriculum nearly as often as we need to take a break for a fresh approach. So finding a new way to practice those facts or doing a short unit study to break up the monotony of the current science or math approach does wonders. Another is to include the children in the goal setting process! My 7th grader has very different goals than I may choose, while my younger ones need me to guide them toward goals, and my littlest learners just want a goal that says “Spend more time playing with mommy”. Ahh, balancing those needs with eight is never easy…. One last thing – remember His mercies are new every morning. We can start fresh any day or any time. We do not need to wait for January to come around again. His mercies are, indeed. Thank you for that reminder Tristan. I needed that! Great reminder about mornings. I tend to think that way about Mondays, but mornings would be even better. 🙂 I also love the idea of including the kids in goal making. I think that would be a good discussion for our morning time next week. Thank you! Love this: “Sure, learning is its own reward, but ice cream makes everything better.”! Thanks for the very practical tips! The link to Sarah’s chart isn’t working. Do you have an updated one? Heidi – I updated it with a link to her 31 day challenge with a new tracker. Thanks for alerting me. This year, in addition to our family’s “Memory Jar,” I made us a nice “Books That We Read in 2017” jar. I like lists, but I lose them. This will be a fun way for the kids to help me keep track of what we read. On the eve of 2018, we will open the jar and read through the little notes we wrote about our favorite (and not-so-favorite) books. What a great idea! Happy New Year!! -Dawn Garrett, Community Care Coord.